Today is South Africa’s birthday (well, one of them anyway, depending on which history book you read). 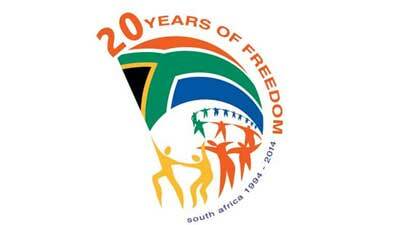 On this day, twenty years ago, South Africa went to the polls for our first democratic elections. Symbolically, it was the moment the people of SA attained freedom from oppression, thus it’s name: Freedom Day. Today is also my niece’s first birthday. As she is the first grandchild in the family, it’s a pretty big deal (which probably means I’ll have to suffer through being congratulated again for something which is in no way my fault). I thought I should provide a fitting background. Who needs photoshop? I am told my sister has also created a cake around the theme. She’s an avid Cake Boss fan who has always had a talent for baking and have in recent years developed some wicked decorating skills of her own, so her creation promises to be something memorable. I’ll most definitely post some photos, if not later today, then some time during the week. Not arguing with that one. In fact, she’s just all round creative like that. 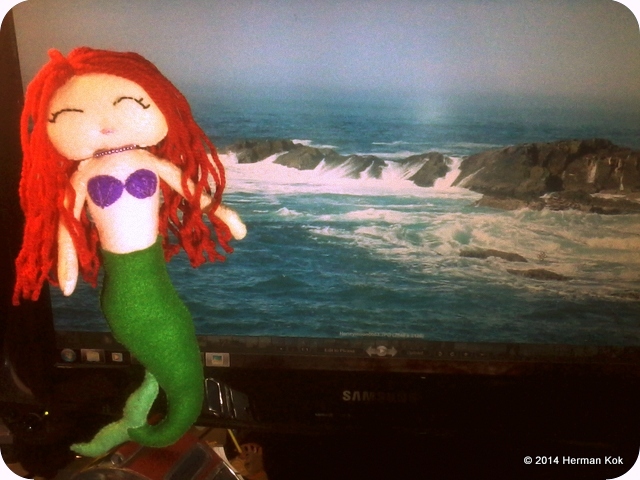 Painting, drawing, scrapbooking, greeting cards, beading… But she does have quite a knack for making toys from felt. Chocolate cake and fondant fish. Definitely.